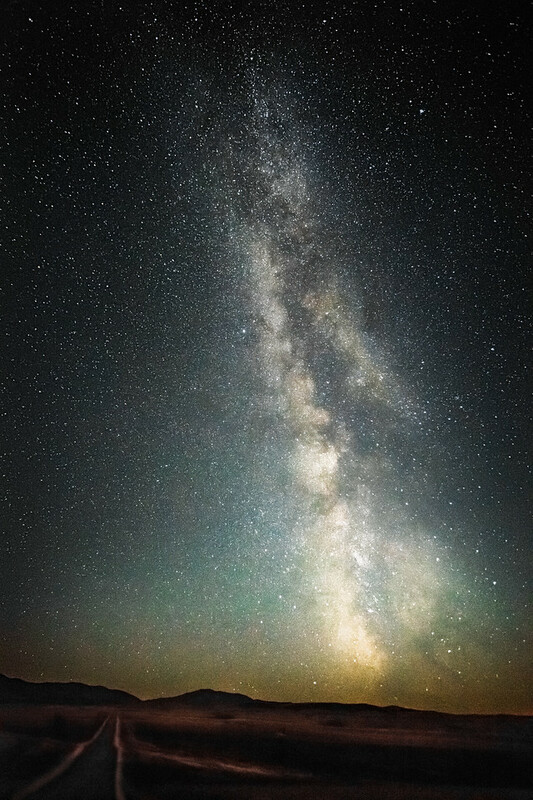 Montana is an amazing place, and as impressive as the big sky is in the day, it’s even more magical at night. I recently made a huge road trip to Alaska, and despite seeing so many beautiful places in Alaska, Yukon Territories and British Columbia, Montana was still impressive when we returned home. After watching the sun go down outside of Glacier National Park, we stopped near Belt Montana to view the Milky Way and make a few pictures. We really wanted to make some star photos on our trip but it became more and more difficult the further North we went, because the sun doesn’t really go down very far in the summer and there is too much light in the sky to see the stars. But Montana saved the day on our last night of the road trip and gave us a spectacular view of the Milky Way practically from the highway. Wow, it’s awesome to call Montana home! Tips for photographers: Photographing the night sky is fun and it’s something every photographer should go out and do sometime. There is a lot written about astrophotography and you can get the impression that it’s difficult, or requires special gear and techniques. I found it pretty easy, even using pretty bad glass for night photography. I made this photo with a Canon 17-40 f/4 L lens and Sony A7ii camera body. A faster lens, f/2.8 or wider, would be ideal for night photography, but I was able to make do with f/4 because the sky was especially bright in Montana. The best tip I can give is to use a really heavy duty tripod that won’t blow around in the wind during 5-15 second exposures and is easy to operate in the dark. It helps a lot if your tripod is really tall too, so you can see what you’re doing without bending over all night. More than anything, just go out and try it with whatever gear you have, it’s a lot of fun! I am Montana wedding photographer Paul Bellinger and I love to travel for weddings. I go anywhere and do anything for our clients. There is no wedding too big or too small, and no wedding destination that is too remote or extreme for us. My studio is located in downtown Billings Montana and it would be my honor to photograph your Montana wedding or destination wedding anywhere in the world. Visit www.paulbellinger.com for dramatic, fine art wedding photography as epic as your love story.